Kdan Mobile is set to launch its annual animation contest, iAniMagic 2017. The Company announced that the contest will focus on building a diverse community for animators and artists. We want to make AniZone a diverse community for all animators and artists to connect and grow. stated CEO Kenny Su. Kdan Mobile Software Ltd. (Kdan Mobile), an Asian software developer headquartered in Taiwan, is set to launch its annual animation contest, iAniMagic 2017. The Company announced that the contest will focus on building a diverse community for animators and artists by changing software regulations, allowing teamwork, and adding features for educational institutions and their students. iAniMagic 2017 will accept submissions from August 1st to November 3rd, 2017.
iAniMagic 2017 requires its participants to submit 2D animations varying in length from 15 to 120 seconds, created either alone or in a team of up to five, using any software to express their thoughts on the theme: the Future. “Technology is the future. As a tech company, we know this requires a lot of imagination. We want to encourage participants to stretch their minds,” stated Kevin Huang, Project Leader and the Chief Designer of AniZone. Since its inception in 2011, iAniMagic has received over 680 submissions from over 70 nations, given over 20,000USD in prizes, and hosted many reputable industry professionals as judges. “Among this year’s judges is Gabe Swarr, Supervising Producer in Development at Nickelodeon Animation Studios. Swarr has worked on projects such as the movies Kung Fu Panda, and Casper Meets Wendy, as well as various episodes of the Jetsons. Joining Swarr are other reputable industry artists, Lyndon Ruddy, Basil Chen, and Sun Gia Lung. We are excited to watch the contest grow,” informed Kenny Su, CEO of Kdan Mobile. According to Su, broadening the tools participants can use to create their work and allowing for collaboration are just the beginning. “We want to make AniZone, our online platform for independent animations, a diverse community for all animators and artists to connect and grow. We remember what it was like as a start-up with little experience and resources. We want to build long-term relationships with educational institutions and encourage young artists and animators by providing resources for their budding careers,” stated CEO Kenny Su. iAniMagic 2017 has added three student specific scholarship awards and a school scoreboard. Institutions earn one point on the scoreboard for every qualified submission received from their students. At the end of each week, the contest will feature the institution with the highest score on the Animation Desk Facebook page. To be eligible for these features, educational institutions should contact Kdan Mobile by July 20, 2017 to register. 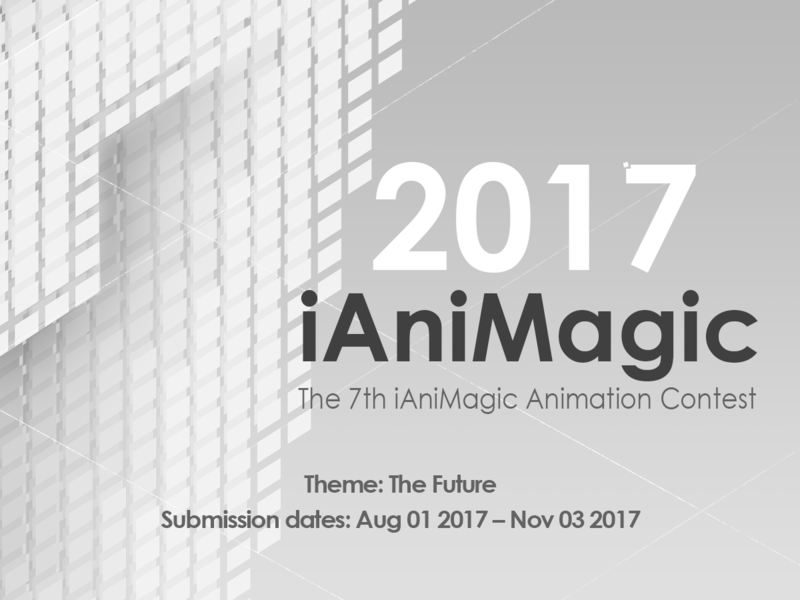 Works can be submitted via the iAniMagic 2017 contest page or the Animation Desk app for participants using the Company’s software. Prizes for this year’s contest value over 7,000USD and include items such as a 3D printer, drones, and scholarships. Winners will be announced on December 1st, 2017. Sponsors of iAniMagic 2017: Fu Zheng Animations & Story Gallery, Kaohsiung Film Archive, and Ufro Inc (Mozbii). Since 2009, Kdan Mobile has been a dedicated provider of mobile software applications and online services that allow users to better leverage their productivity and creativity. Kdan's works are backed by more than 100 million downloads worldwide; their solutions empower the world to create, distribute, and conjoin projects via a variety of devices across platforms. Kdan Mobile is headquartered in Taiwan, with operations in Mainland China and the U.S.